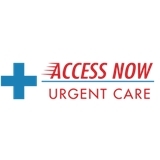 Access Now Urgent Care (Silverspring) - Book Appointment Online! Access Now Urgent Care is the top-rated clinic in Montgomery County because we put your needs first. Created to reduce the need for patients to go to the Emergency Room, Access Now Urgent Care prides itself on providing “Prompt, Professional, Quality” medical care. We can handle most minor emergencies at a fraction of the time and cost of an ER. We can even take care of many primary care needs.